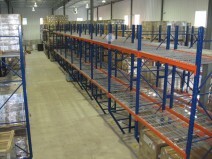 Rolled form racking is made from rolls of flattened steel. This roll of steel is gradually straightened and bent into its desired shape by sending it through a roll forming machine which gets its name from the many rollers gradually bending this metal into its desired shape. The result is a column of steel tubing which will be used in the construction of the rack frame. The strength of this racking column comes from the number of bends in the design of the column as well as the gauge of the steel used. Frames are built using two rolled form columns connected by a series of cross braces. The cross brace pattern is typically determined by the seismic requirements of the region where the application is to be located. 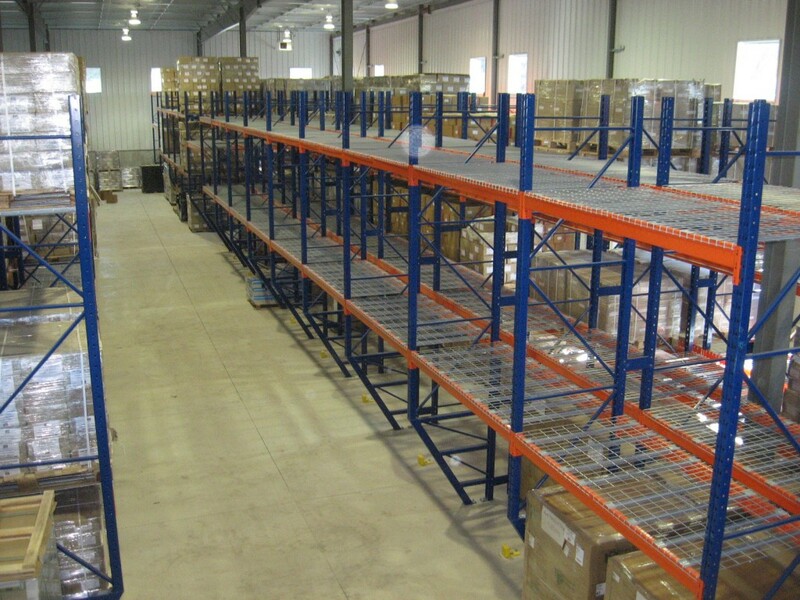 Rolled form racking makes up the majority of racking in the Canadian market and although a number of manufacturers have introduced their own brands or styles, the market is by and large dominated by the specific style known as Redi-Rack. This style, distinguishable by the pattern of square cut outs in the rack face as well as the column sizes, has now become a standard for most Canadian racking manufacturers. Rolled form racking is the one of the most economical racking solutions in the market and is ideal in light to medium capacity applications.